Waverley house is the first of the four homes on the Hermitage development. 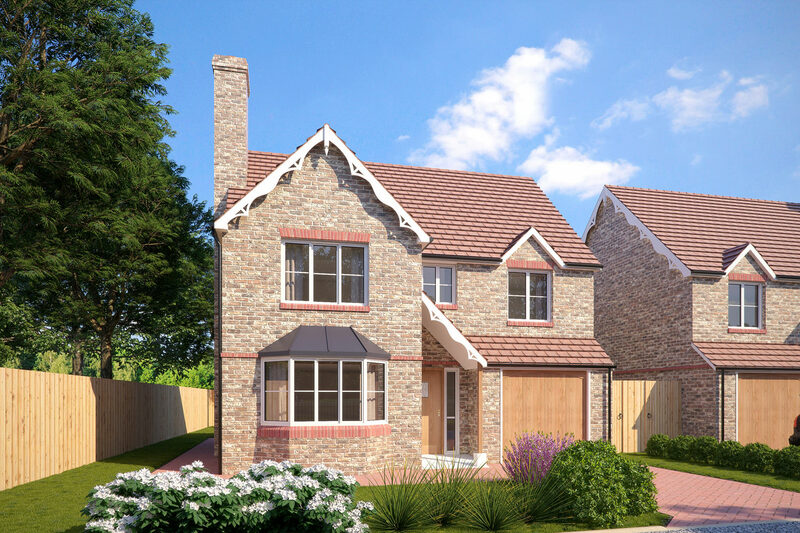 The house features generous living space, downstairs WC, dining room and elegantly designed fitted kitchen with integrated appliances including a single electric oven, gas hob, chimney hood and integrated fridge freezer, dishwasher and washing/drying machine. Choose from over 200 kitchen designs to truly make this your home. The living room is a generous size with a beautiful feature bay window and feature fireplace that can accommodate a real fire. The dining room, also a generous size, is styled with a feature bay incorporating a gorgeous French door leading to the rear garden. Upstairs there are four bedrooms, including the master with en-suite, and the main bathroom. Take your pick from our extensive standard range of tiles or go for something really different with our upgrade option. Gardens are landscaped with turf to the front. Close board fencing and gate to the side and rear elevations. A block paved drive leads to the single integrated garage. This home is available with our custom build option. There is also a wide range of upgrades available. For a detailed plot specific specification and more information on our custom build process, please refer to our sales team.